British Virgin Islands BVI are beautiful place to visit, located in the caribbean to the east Puerto Rico. Tortola is the Largest Island, and capital island of British Virgin Islands. On the British Virgin Islands you can find friendly people and amazing beaches, every beach is the unique quality and beauty of places. Know about Some of the political facts of these Islands. The Population of Islands are 28,882 only and Literacy is 98.2%. In the BVI people belong to majorly three religions Christianity, Islam and Hinduism, some other religions are also can be seen. The Economy is based on tourism industry, due to its well managed hospitality people attract here in large numbers. Smoking is ban in British Virgin Islands, it is also ban within 50 feets from any public place, all the restaurant, public place, airport, govt. offices are also included in this. This is the United Kingdom territory, and self-governing, the Emperor is Queen Elizabeth II and the Governor: Boyd is McCleary. National Anthem of Britist V Island is "God Save the Queen" and the flag is Union Jack. The Islands ruled by British Law and the main languages are English and Spanish English is the oficial language of BV Islands. National Flower is Oleander, National Bird is Turtle Dove and National Tree is White Cedar. 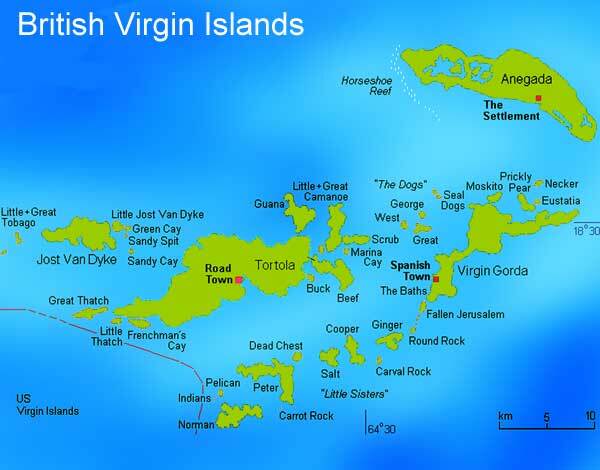 One more thing is that British Virgin Island has no any sales tax applicable.